STAR WARS Fans Get Your Lightsabers Ready For Epic 40th Anniversary Celebrations!!! Calling all Star Wars fans! Be it fans of the Light Side or Dark Side, this is the day we drop all grudges and raise our light sabers high to celebrate STAR WARS DAY! This year, we will celebrate like the Ewoks do and have a 3-days Extravaganza as it will mark the 40th anniversary of Star Wars since the release of Star Wars: A New Hope in 1977. Singapore's Gardens by the Bay in partnership with Singapore Tourism Board will play host to the "STAR WARS DAY: MAY THE 4TH BE WITH YOU Festival"! 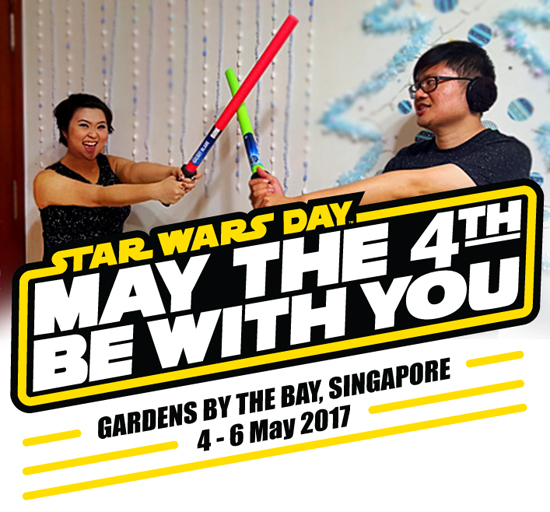 Set in "A long, long time ago (actually not so far, just May 4th to 6th 2017), in a galaxy not so far away", Singapore's awe-inspiring 101 hectares garden at Marina Bay will have tons of Star Wars themed activities. Hubby's excited to meet his fellow Jedi-s, heroes of the Rebellion as well Chewbacca or Chewie, whereas Sith loving me is definitely going dark with Kylo Ren, the dark warrior from the First Order. Aiya, whichever side of the Force you are on, you will not want to miss out on the chance to take a photo with these two characters that are making their first ever appearance in Southeast Asia! They will also be accompanied by the costume Fan Clubs - the 501st legion, Rebel Legion and FightSaber, as they decked out in their own personalized custom made movie accurate costumes to celebrate the villains and heroes of the STAR WARS saga by bringing your favorite character to life. 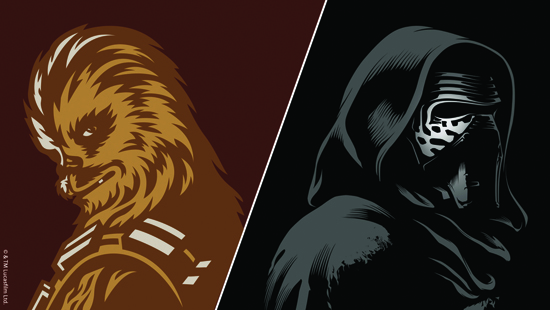 Chewbecca and Kylo Ren appearance schedule as above. Be sure to set your alarms! And when dusk falls, come gather around the Supertree Grove as the Marina Bay skyline will be further illuminated with the SaberTrees light-up. 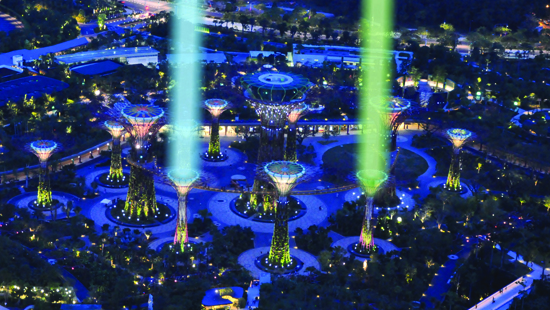 This will be Southeast Asia’s largest lightsaber light-up activation, from 8pm till late on all 3 nights, where the iconic Supertrees at Gardens by the Bay will be transformed to glow in resemblance of lightsabers! Together with the SaberTrees, there will also be the Garden Rhapsody: STAR WARS Edition, twice nightly at 7.45pm and 8.45pm on all 3 nights. It will a dazzling 15-min music and light composition, set against the epic STAR WARS soundtrack, so don't miss it. Photo opportunity also doesn't stop with just the characters. Marvel at the iconic All-Terrain Scout Transport (AT-ST) – first introduced in STAR WARS: The Empire Strikes Back – standing guard at the Supertree Grove. A mainstay on-ground throughout the festival, this is your chance to get up close and personal with this towering replica, for a closer look, head up onto the OCBC Skyway for an aerial perspective of the two-legged, armored walker set against the panoramic Marina Bay skyline. I know I will!!!! 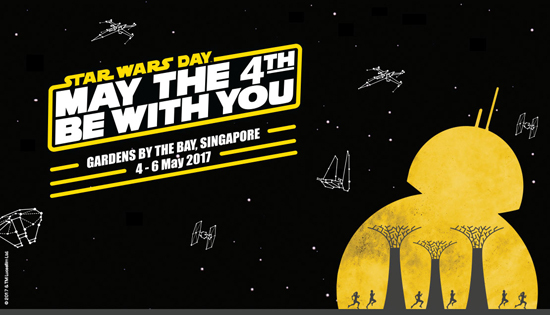 On the 3rd day of celebrations May 6th, come gather for the inaugural Star Wars Run at The Meadow at Gardens by the Bay. There's a run for all age and strength level with 2 distances 4.5km and 10km to choose from. There will be runners joining the Rebellion on their plight for justice on the Light side, or walk in Darth Vader’s footsteps to uncover the great powers of the Dark side. Unfortunately the registration for the Star Wars Run has closed with full subscriptions for the run, good for you if you managed to register, but for those who didn't make it, come join in the fun, I bet there will be lots of photo opportunities! 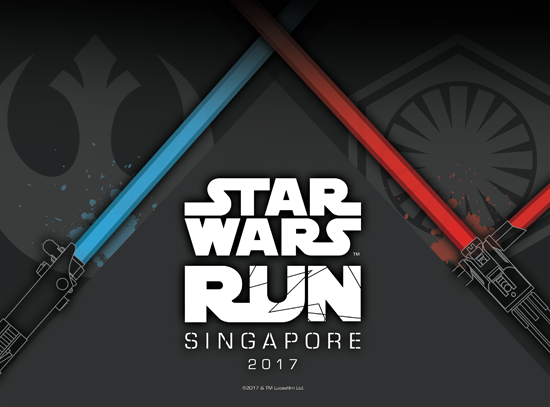 More information can be found here - http://www.esprimo.com.sg/StarWarsRunSG/festival.php. May the Force be with you always and I'm gona go make sure my gear and suit is all ready for the celebrations. See you there! Hubby and I Tested Out The 2017 Toyota RAV4 !! !